Serviced Office/Co-Working space in Vietnam’s Ho Chi Minh City providing Japanese standard of service quality! CROSSCOOP Ho Chi Minh Serviced office & Co-Working space is located in the heart of the central business district (CBD) of Ho Chi Minh City at the intersection of Dong Khoi Street and Le Thanh Ton Street. There are also many hotels and restaurants in the vicinity. Located in renowned Vincom Center, where almost every taxi driver knows of, it is easily accessible from airport, etc. It is very clean in the building and there is also an air-conditioned underground dining street in the building, a taxi stand at the entrance, as well as many hotels in the area making it very convenient for your business stay. You may use our serviced office for business registration. Also, as our serviced office can be contracted for as short as one-month, it is ideal as a project office or a temporary office. For company incorporation, recruitment, search for business partner, accommodation, etc., please feel free to consult us. Best location Register your company address in A-grade high-rise building in the CBD. Building (Vincom Center) Many restaurants available in the basement of the building. Multi-lingual Reception Staff Staffs are able to communicate in English, Japanese and Vietnamese. Delightful view View of Ho Chi Minh CBD can be seen from office room. Fully-furnished private rooms There are 38 private rooms with that can accommodate from 3 to 12 persons. Meeting Rooms 3 meeting rooms available on reservation basis and projector is also available upon request. Pantry (Rest area) Complimentary beverages like tea, and machine-brewed coffee available. Multinational communication You get to communicate with users of various nationalities such as Japanese, Vietnamese, Asians, Europeans and Americans, in our office. 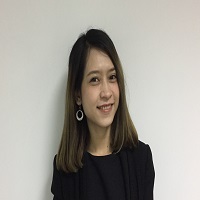 Bilingual staffs who can communicate in Vietnamese, English and Japanese are on site to provide services such as secretarial service, arranging transport and accommodation on your behalf, etc. We are able to introduce professional agents to assist you in company setup, accounting and tax, human resource, accommodation, and market research in Vietnam at no extra costs. The building is equipped with electricity generator so it is possible to continue working even if power cut happens suddenly. Desks, chairs and cabinets will be provide as per number of registered users and according to room capacity. Two 6-person Meeting Rooms and One 12-person Meeting Room available 24-hours a day on reservation basis. In-house clients are entitled to special rates for meeting room or seminar room usage. Each desk is assigned with a telephone and there are two options available for phone number settings – either our company extension line or private line. Call-answering service is also available to answer incoming calls during your absence. Multifunctional printer (Print/Copy/Scan) and shredder are available in the common area. You may enjoy your breakfast, lunch or tea break in the office pantry with beverages provided by us. This common area is also equipped with essential facilities like fridge, microwave, etc. Not only provide best services, but also meet customer’s satisfaction. I will offer information on Vietnam’s business environment.